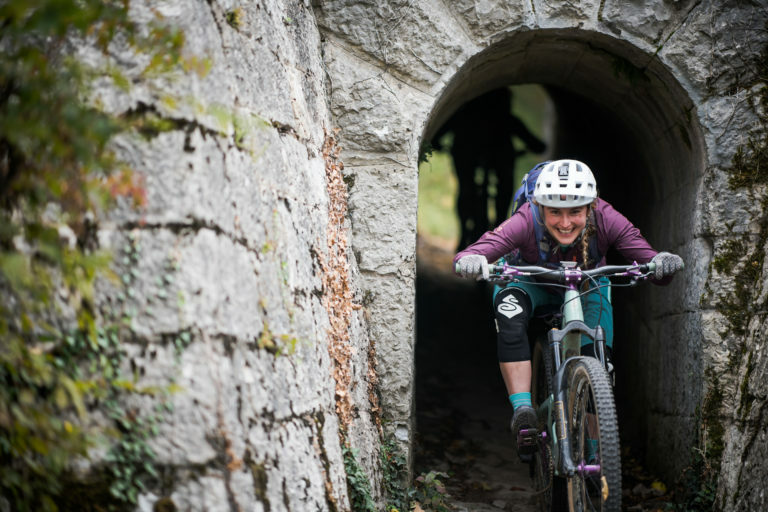 Rachael Walker spelunking on her Juliana with a smile to light the way. 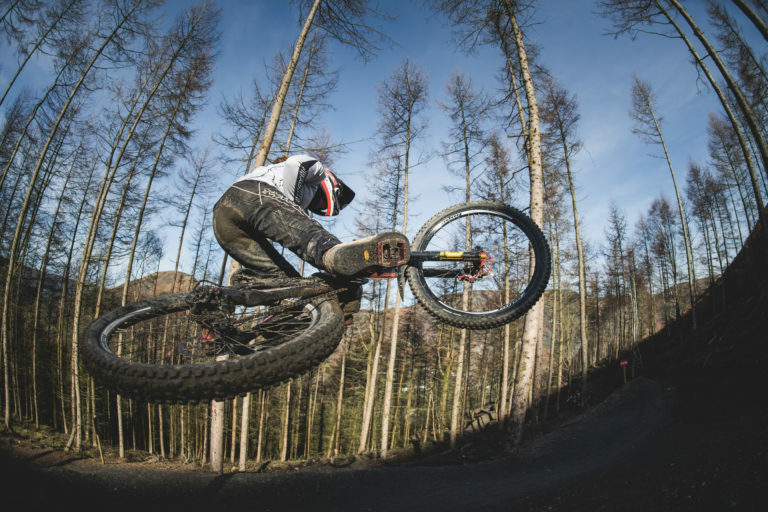 Rachael Walker is much more than a Brand Manager with the legendary mountain bike brand, Hopetech. She is a bike racer, a community organizer, a barrier breaker, and all-around connector of rad folks. 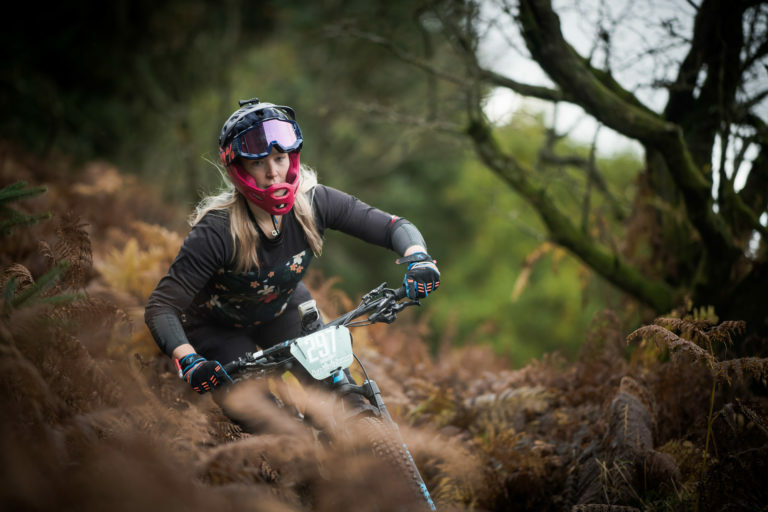 Since she began working with Hope she has kicked off a variety of events and rides, including monthly women’s trail rides, and the famous Hopetech Women’s Enduro. 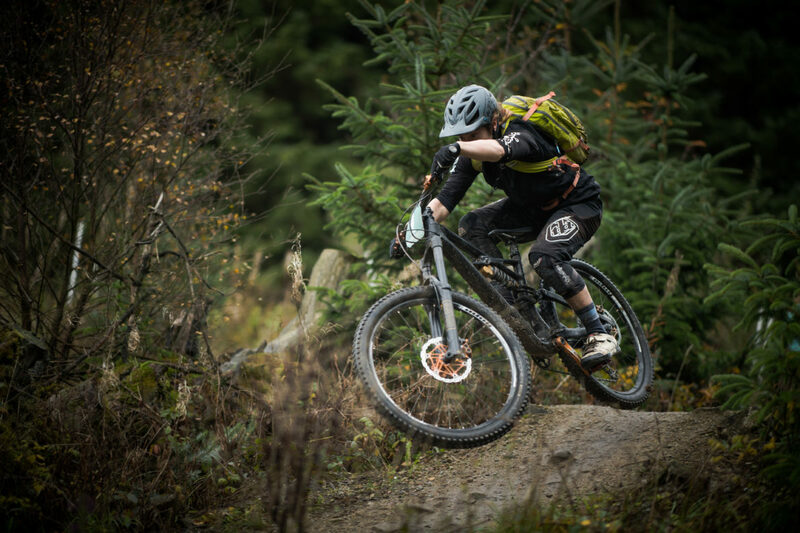 The creativity and intentional work from folks like Rachael make mountain biking better for all of us. 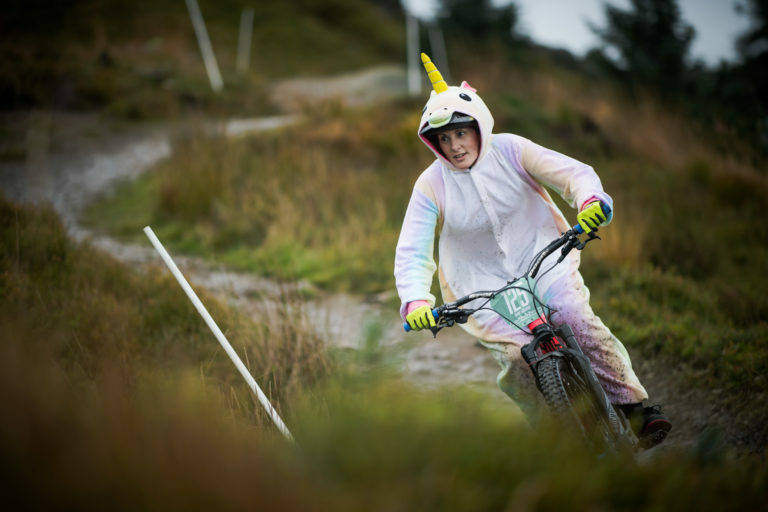 She is regularly connecting with other riders and helping them feel welcome and supported so they can enjoy the sport in a way that makes sense for them. Below she shares some of her inspiration and ideas on all things two-wheeled. 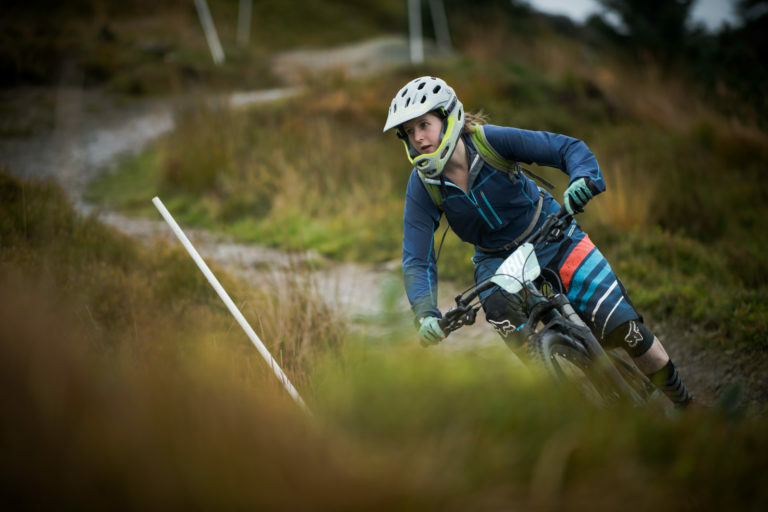 All photos from Hopetech Women’s Enduro, shot by Rupert Fowler. Rachael is a rabble-rouser on the bike, engaging in multiple forms of cycling. 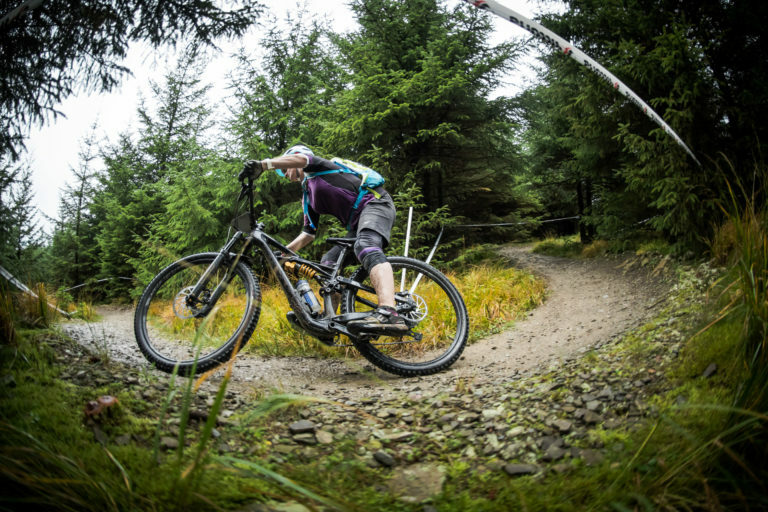 Over the years she has spun up nearly every genre of two-wheeled fun, including downhill, road, cyclocross, and enduro. 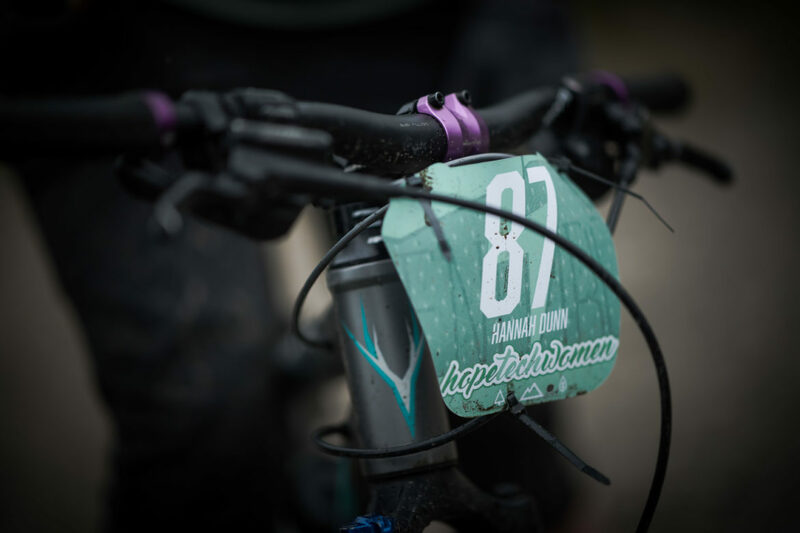 The idea behind Hopetech Women is to create a community whereby women can develop their knowledge of bikes, components, and also their riding. 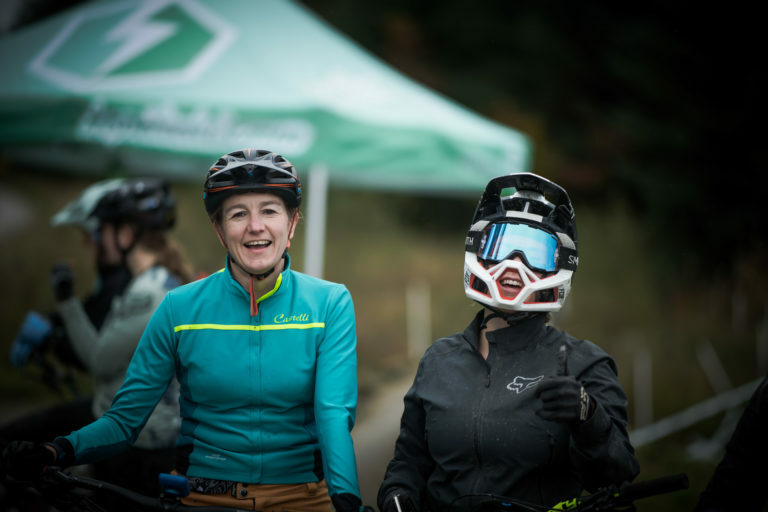 We hope to inspire women to try something new, push their own personal boundaries and meet more women who ride. Rachael has a long and varied assortment of races under her belt, so of course, I had to find out which race she found the most challenging. 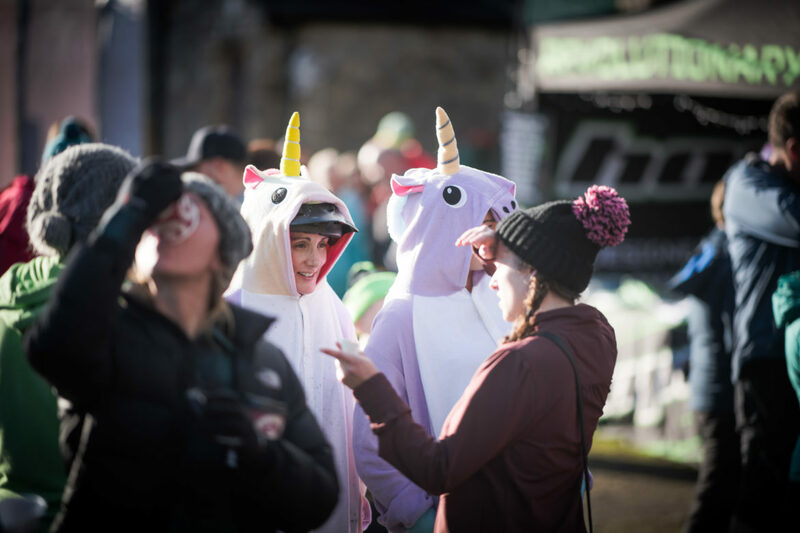 This is one serious unicorn, keeping warm mid-stage. In her position at Hope, Rachael runs and supports various events around the globe, and has some lofty racing aspirations to train for all the while. Rachael has only good things to say about her work with Hope, including a level of employee autonomy and trust that other companies could learn from. 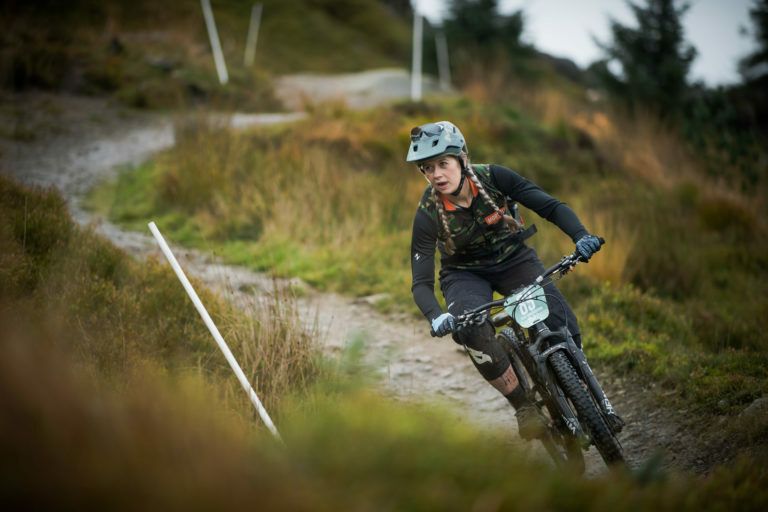 She is directly involved with a number of women’s MTB initiatives and has a keen sense of what is being done and what needs doing to make the sport more inclusive. I wanted to know what other companies, in addition to Hope, that she sees doing the work to make mountain biking better for women. Now on to the Hopetech Women’s Enduro, which is hoisting the banner of expectations as the first women’s-only gravity race in Europe. 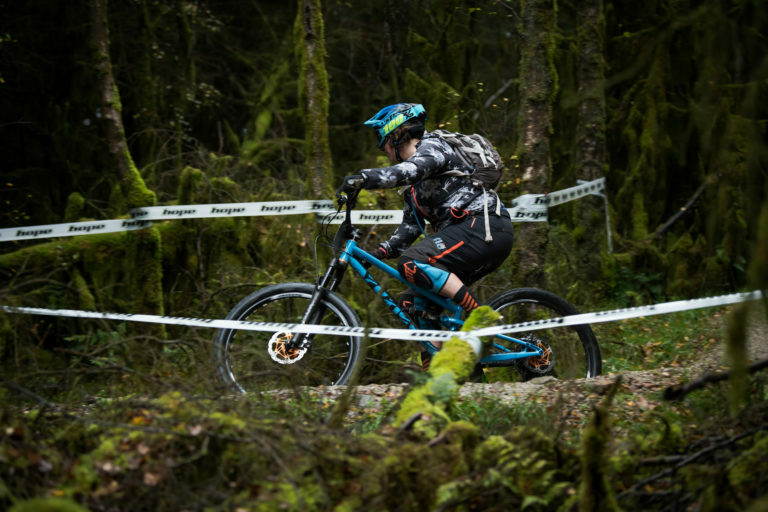 The Hopetech Women keep their support burning all year long, with a host of events, rides, and an impressive roster of sponsored athletes and brand ambassadors. “We are fortunate to have a group of incredible Hopetech Women ambassadors who really believe in pushing women’s cycling. Outside of the Hopetech Women events, we know that all the HTW ambassadors and sponsored riders constantly encourage and assist female riders in any way they can through inspiring others on their personal social media accounts and just riding with other women on the trails. 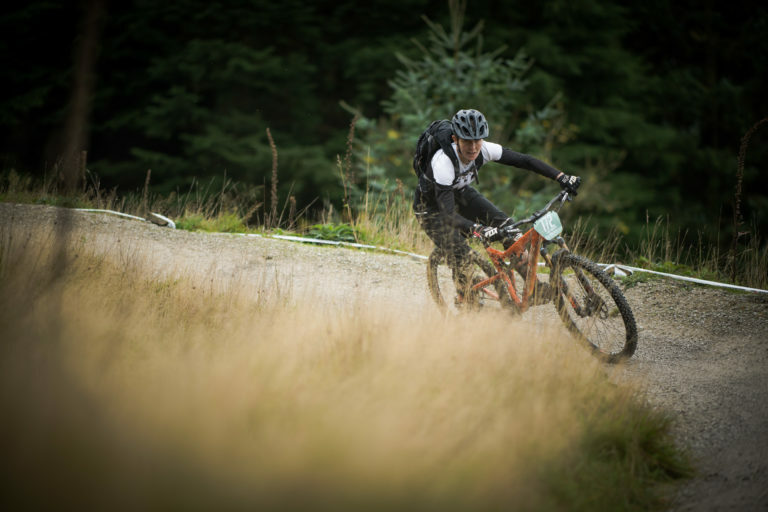 “Due to the vast range of products for different disciplines we manufacture it means we support riders from DH to XC to CX and freeride. 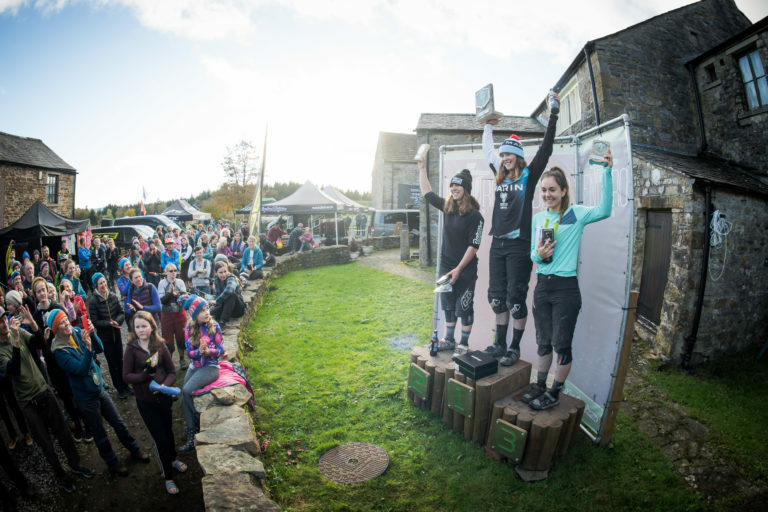 A few of the Hopetech Women have World Cup podium steps in their sights for the 2019 season. Rachael’s view for the future of mountain biking is a bright one, filled with more intentional riding in an effort to progress the sport. Katy Curd throwing some legit shapes. During every good chat with dirt-legends like Rachael, I try to ask where their favorite track is. Her answer has me rethinking some summer plans. 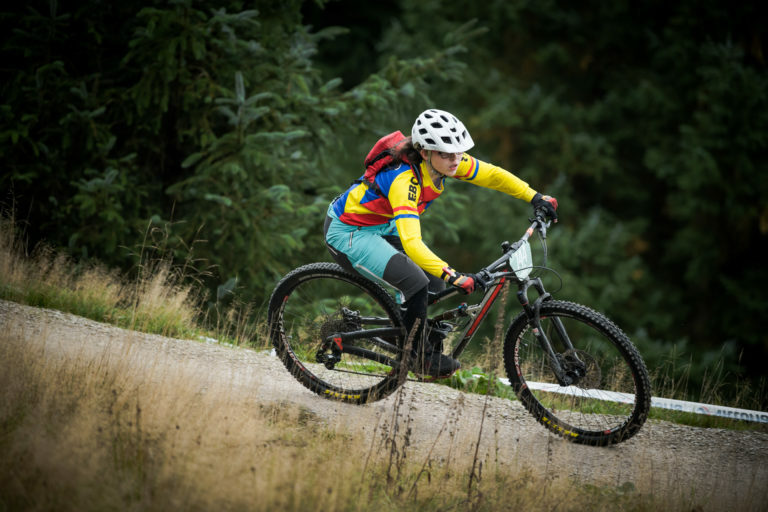 Rachael is in the cohort of folks we can all watch to learn where the sport of mountain biking is headed. She knows how to bring a wide variety of riders together to have fun, and that is exactly what we need. You can follow along with her endeavors, and all of the talented Hopetech Women, on their Instagram page. 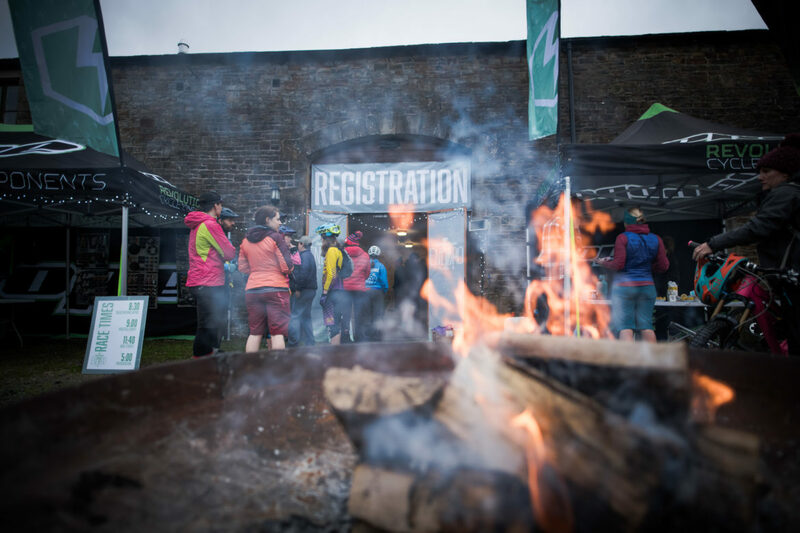 Additionally, the ambassadors and racers post helpful how-to skills videos, bike mechanic tutorials, and ride reports on their blog so make sure to check it out.